Social media covers, they’re just other images, right? Wrong! They are a great way to show off your business and help to promote it. How? Well, that’s what I’m going to tell you. I’ve got 8 great ways you can use social media covers and some examples of businesses I think do it really well. But, before we get to that, here are a few things you should know. Why make social media covers? Whenever you have the opportunity to create a social media cover, what that opportunity allows you to do is focus visitors’ attention on something important for your business. Let’s cut to the chase – it’s essentially a place for you to promote your stuff! What is my social media cover asking of my visitors? If you can’t answer that with an action you want visitors to take, then your social media cover needs a bit of work. But don’t worry, we’re going to do this together! Which tools should you use to make your social media cover? There are so many tools out there that you can use. I recommend experimenting with a few to work out which ones work for you. And remember, Facebook lets you use videos as your social media cover, so keep this in mind. Canva (my favourite, and I really do recommend using the paid version, which is only £10 a month.) Read this post for a cheat sheet on how to use Canva. How do you decide what to focus on? If you’ve stopped by my blog and read some of my previous posts, you’ll know that I’m going to say: What are you trying to achieve? Your marketing needs to have goals and then the tactics you use (like updating your social media covers) need to support those goals. So, review your goals for the month. What is your business trying to achieve? Do you have a sale of end-of-line stock? Are you hosting a webinar? 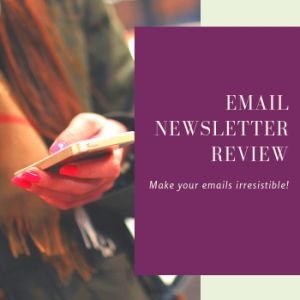 Do you want to grow your email list? These are some examples of what you might want to achieve. Of course, you’ll have a number that you want to achieve, whether in sales, registrations or email addresses collected. Your social media covers can help to support these goals, so think about how you can use them to promote your goals. So, if you use any of these, start to think about how you can maximise your social media covers. If you have a Facebook Page, you’ll know you have a button under your Facebook cover. This is great news because you can use it to encourage people to take an action. If you hover on it and choose ‘Edit button’, you’ll see the options available to you. The other social networks don’t offer this option, so think about how you can wrap the call to action in the image or video. So, now you’ve got the lowdown on social media covers, let’s move on to examples of 8 ways you can use them. This is a no-brainer. You have space to talk about what you sell! Yes, I know I’ve told you before that you shouldn’t sell on social media. However, I think this is an exception where you have perhaps launched something new and want to tell your followers. My first example is from Nadiya (she of Bake Off fame). Nadiya has a new book available and she’s used her Twitter cover to show off the book. You can see how the branding on the image matches the book and it’s telling us the book is out now. Now, I’m sure Nadiya doesn’t have to work as hard as we do at promoting her products. The only thing missing here for me is the action she wants us to perform. I’m sure she wants us to go buy her book! The next example in this category really caught my eye. This Time Next Year is a serviced office in the East End of London. I love this cover because they’ve tied it into their name. Of course, they want you to be thinking about their office space. But, they’re not directly selling it to you. They’re asking you where you want to be this time next year. I love the creativity of this Twitter cover, plus they’re directly asking you to perform an action. It’s memorable! This is so simple, yet very effective. Particularly if it’s not obvious what your business does. Our first example is from Jennifer Corcoran, from My Super Connector. With that name, you might not be sure what Jennifer does. However, one look at her LinkedIn cover tells you she can help you stand out online. In addition to this, the image is completely in keeping with Jennifer’s branding and uses the space very well. The next example is from the FSB. Their Twitter cover tells you exactly what they can offer you. They have the expertise and services to make your business successful. Now, they could have just put that on a coloured background; however, they chose to use an image, which adds more interest to their cover. We’re small businesses, so we shouldn’t be afraid to show people the faces behind the business. Using your social media covers is a great way to do this. The first example is from Dan Knowlton, who I’d heard of ages ago, but finally met at a networking event. Dan speaks at a lot of events, sharing his knowledge of marketing online. He’s used a great image to show him in action at one of the talks he gave. You can see the audience is participating and it makes for a very engaging shot. If you were looking for a presenter, he’d be in the running! The next example is from Sprout Social, a social media management platform, uses an image of its team members in its Twitter cover. I particularly love the green background they’ve chosen, which ties in with their logo. It shows team members at work, perhaps collaborating on something new for their product. For a company that’s big, this is a great way to show a more human side. A brilliant way to use your social media covers is to spotlight the people you help. Here, I have two examples of business organisations that help small businesses. Waltham Forest Business Network and Boost both have images of people who might benefit from their services. But how they’ve put their covers together differs. Waltham Forest Business Network has used photos taken at various events. Perhaps they want to highlight the events they have on offer to help small business. Boost, on the other hand, has focused on studio shots which tie in very well with its branding. And I’m sure it won’t go unnoticed that they would like you to use the hashtag #GrowingLancashire, which also tells you what they do. This one’s for all of you who have online stores. If you’re having a sale, using your social media covers is a great way to promote them, especially on Facebook. Remember that tip I gave you about using the button below your Facebook image? Well, in this example, Whittard does exactly that. They’ve announced their summer sale, where you can get 3 things for the price of 2. Bargain! But take a look at the button directly below it. It’s telling you to shop now! If you’re a fan of Whittard, it’d be rude not to. Yes, you can still use lead magnets in a GDPR era. And, if you’re sure not all your social media followers are on your email list, it’s a perfect way to promote what you’re offering. In this example, Lenka Koppova is offering a social media starter kit. I particularly like this cover for two reasons: it moves (which you can’t see because it’s a screenshot) and she has her contact details front and centre. Plus, as this is a Facebook cover, she’s using the button below the cover to get you to find out more. If you’re a membership organisation, then you can use your cover photo to sell your membership. In this example, the FSB uses its Facebook cover to show visitors what their membership comprises. There’s also a clear call to action: you can find out more by calling them or visiting their website. Again, because they’re using Facebook here, they’ve changed the call to action on the button below the cover to encourage people to sign up. Using social media covers is a great way to promote events you might be hosting. The first example is from Twycross Zoo, which is hosting a series of live music nights. The image clearly tells visitors how much tickets cost and the dates of each event. And, I’m sure you’ve noticed that they’ve used the button below the image to tell visitors to book now! The last example is from my own Facebook Page. I regularly use social media covers to promote events. This one talks about my online training, called Accelerate your marketing. You can see it’s a 5-week online course, and you can see when it starts. I’ve also used an arrow in my design to draw visitors’ eyes to the sign-up button. I’m going to share with you what I do when I update my Facebook cover, then you can go to my Facebook Page and click on the cover image and see it in action! When I change my cover, and once it’s published, I will go back in and edit the post. Why do I do that? Because when you change your cover, Facebook shares it as a post that appears in your followers’ timelines. This is another opportunity for you to promote! So, I go in and add a caption to the photo. I talk about the thing I’m promoting and (this is the important bit), I include a link to the destination I want to send visitors. Why do I do that? Well, it’s another place where I can get people to click and go do the action I have set out for them. So, there you have it. You now know why you should be doing more with your social media covers and the types of things you could be promoting. Once you put your thinking cap on, you will think of more things. Just make sure you use great images, so your covers stand out! Want to make sure all your images pop on social media? Download my social media image sizes cheat sheet. It’s got the sizes for the major networks. Fill in your details to receive your free cheat sheet. Please add me to your weekly newsletter. I know I can unsubscribe at any time. Yes, I would like to receive weekly marketing tips by email!